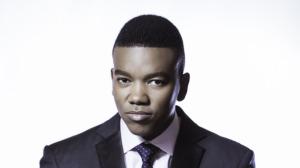 Trinity Broadcasting Network (TBN) has announced that Loyiso Bala has been appointed as the new channel director of TBN in Africa. Bala has seven South African Music Awards (SAMA), three Metro FM Awards and a South African Television and Film Award (SAFTA). According to TBN, he has been applauded by icons such as Nelson Mandela, Richard Branson, Gordon Brown, Bill Clinton, Oprah Winfrey and more. TBN in Africa says it is privileged to benefit from the passion, inspiration and creative flair of Bala. He brings with him an understanding of the business, having presented and produced several television shows, including TBN Meets. He has also been running a talent management company since 2007. He is currently completing the final year of his MBA studies at Henley Business School. Bala has served on the board of the Southern African Music Rights Organisation, the South African Music Performance Rights Association and as a member of the South African Cohesion Committee, an organisation chaired by the Minister of Arts and Culture, comprising of influential leaders from different sectors. His role will be to lead an experience team that will aim to increase the overall viewer experience. This includes content creation, brand and channel identity, marketing and new business strategies. Bala says, "I am honoured and humbled to be granted the opportunity to lead such an amazing team, which I’ve come to feel a part of over the past three years, having been presenting and producing for the channel." "I look forward to the challenge and to continue building on the great success that has been achieved by TBN thus far," he adds. Lucky Mbiko, managing director, TBN in Africa, says, "We are excited about bringing Loyiso on board as we believe he will form an integral part in the next phase of our development strategy." "We have a big vision for both content production and distribution in Africa as we are looking at providing our viewers with good quality, original content," adds Mbiko. For more information, contact [email protected] or visit www.tbninafrica.org.